"Friendship of Nations" is the main founatain at the All-Russian Exhibition Centre (VVTs). The VVTs was foundated at 1939 as agricaltural exhibition of Soviet Union. The Fountain has gilded statues of maidens in the national costumes of the sixteen Soviet republics demurely encircle a golden wheat sheaf. 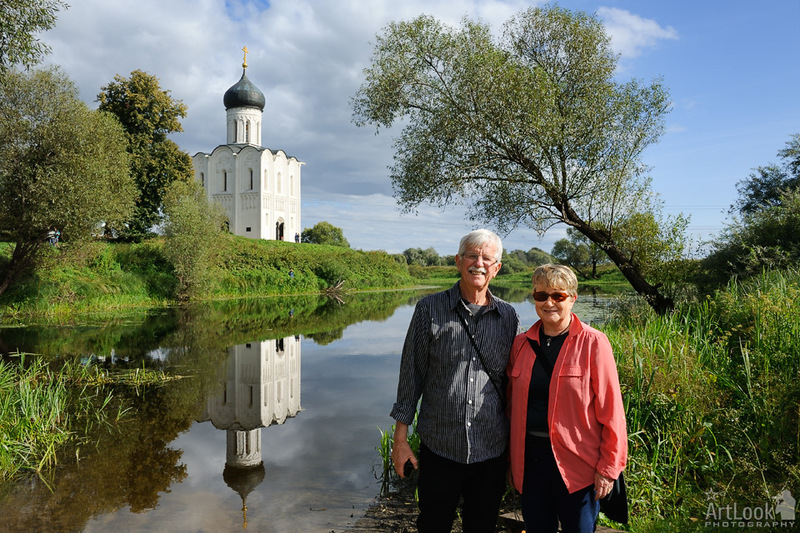 Arthur provided my husband and I with a perfect tour to the Golden Ring towns of Vladimir and Suzdal. It was the highlight of our trip to Russia. His enthusiasm, knowledge and organisation were superb. He understood our needs and provided a wealth of information appropriate to the sights. We had time to explore all the historic locations and appreciate the amazing history, Russian architecture and art as well as visit the top class museums. Because of his photographic skills, Arthur took us to special photogenic locations ensuring that the photographic record of our journey was first rate. Last but not least, having a guide who could translate Russian into English so skilfully was invaluable and deepened our whole Russian experience.